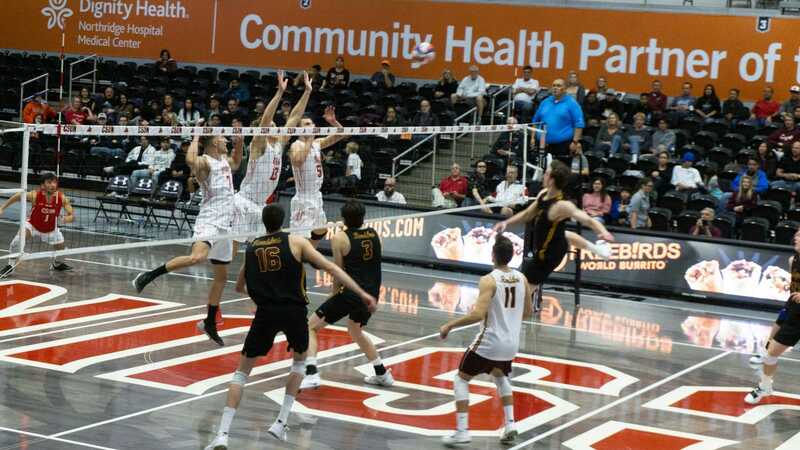 The Matadors’ winning streak still has not let up after landing their fourth consecutive sweep during Saturday’s match against the UC Davis Aggies (25-14, 25-19, 25-23). The win against UC Davis (15-13, 10-5 Big West) sets the Matadors at 18-8 overall and 9-5 Big West. Leading the team was senior middle blocker Casey Hinger with 14 kills, 14 digs and three aces while hitting a .346 on 26 swings. Right behind Hinger was junior outside hitter Danetta Boykin with nine kills, four digs and one ace. Senior middle blocker Sam Kaul put up seven kills and hit a team-high .700 on 10 attacks. Matching Kaul’s seven kills were sophomore outside hitter Julie Haake, who also hit .333, and junior outside hitter Cieana Stinson, who also hit .174. Junior setter Steffi Miller put up a total of 41 assists, while both senior libero Kelcie Randazzo and Hinger tied for a match-high 14 digs. It was a back-and-forth first set between the two teams, with the Matadors only leading by one or two for the majority of the first half. 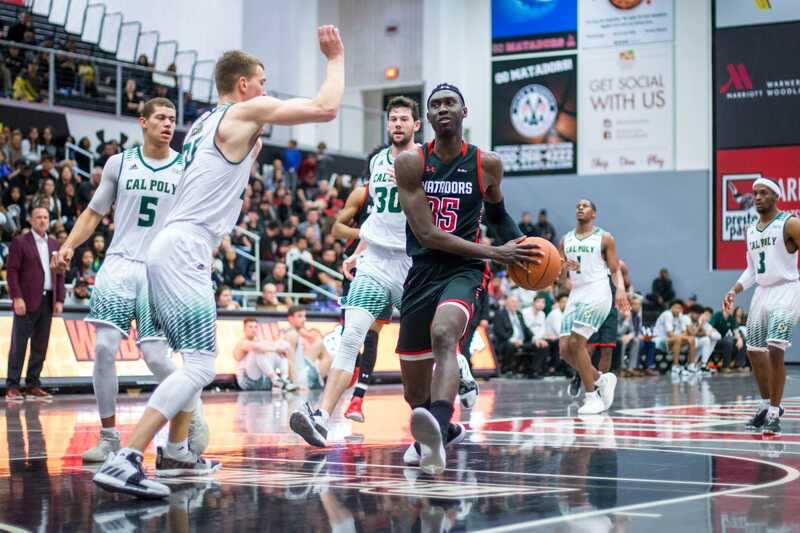 It was not until the Matadors earned six back-to-back points that they were able to gain an eight-point lead (16-8). A service ace, kills by Stinson and Kaul and an attack error from the Aggies helped the Matadors win the set 25-14. The Matadors were in full control of the second set right in the beginning, leading 12-6. 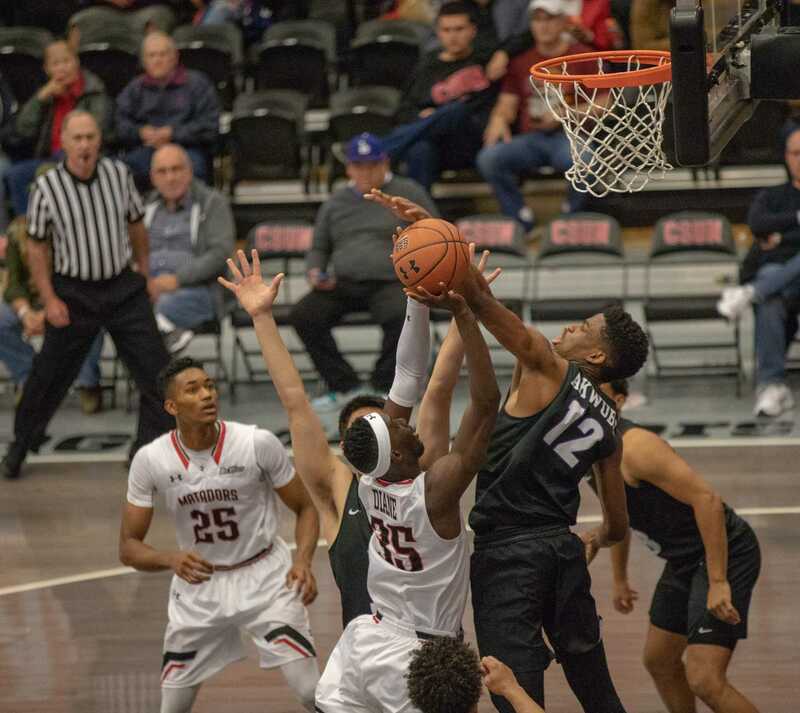 The Aggies seemed determined as they eventually cut the Matadors lead down three separate times. Kills from Kaul and Haake contributed to the Matadors’ last five points and earned them a 25-19 set win. 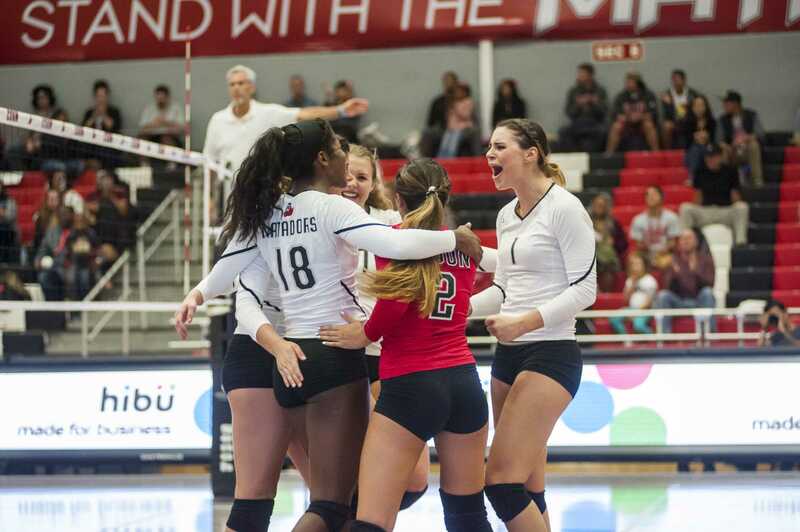 The Matadors were able to sweep UC Davis after a close third set match (25-23), out-hitting the Aggies .182 to .130. 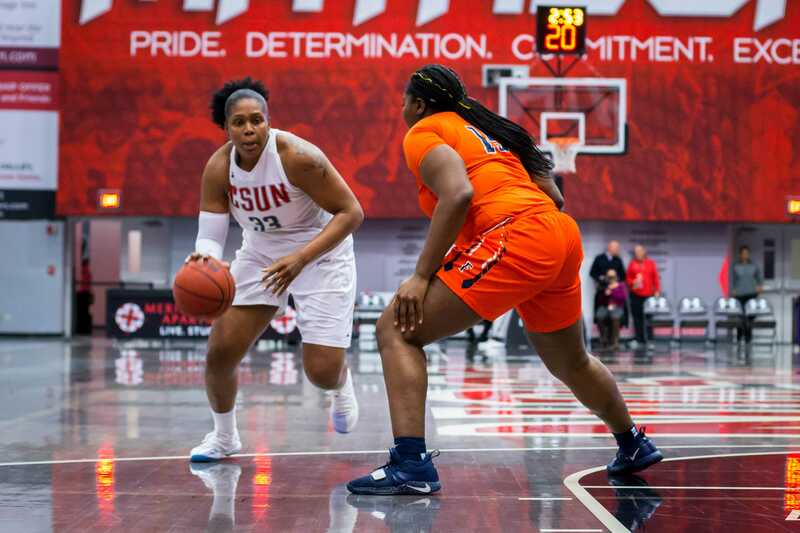 The Matadors will return to their home turf to compete against Cal State Fullerton on Wednesday, Nov. 26 at 5 p.m. This game will be the first of the Matadors’ final two regular season matches.